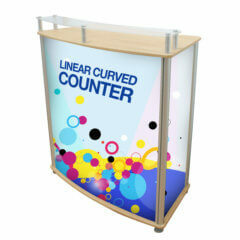 LCD graphic panel kit is a robust, freestanding, presentation unit. It has an integral LCD bracket. 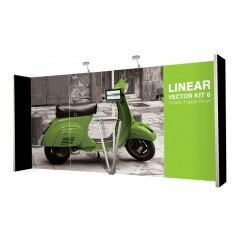 This is a very versatile display. 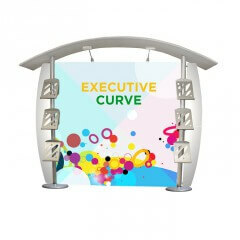 It is ideal for permanent and semi-permanent information sites. Available is a choice of three sizes – 1000mm x 2000mm, 2000mm x 2000mm and 3000mm x 2000mm. 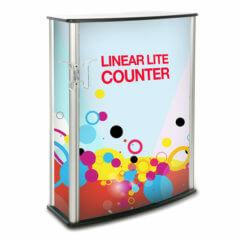 The unit takes a range of graphic panels. It can be single or double-sided. 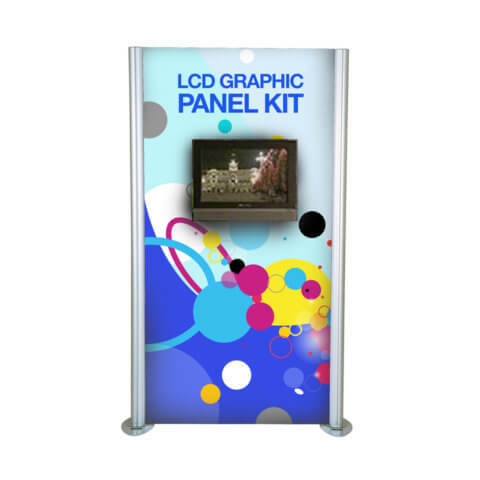 The LCD graphic panel kit has robust 75mm uprights with oval steel bases. 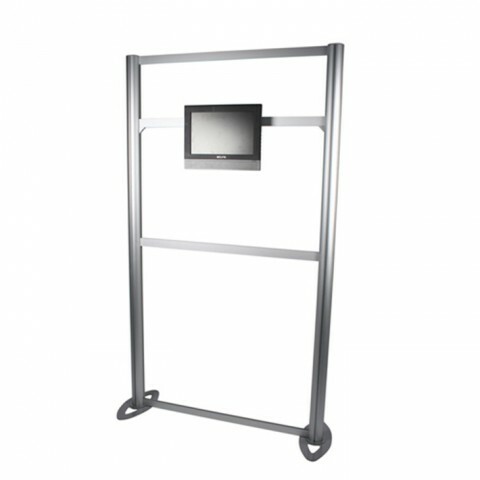 A flat LCD monitor bracket is included. A monitor however is not included. Anodised aluminium poles give this unit real presence and substance.